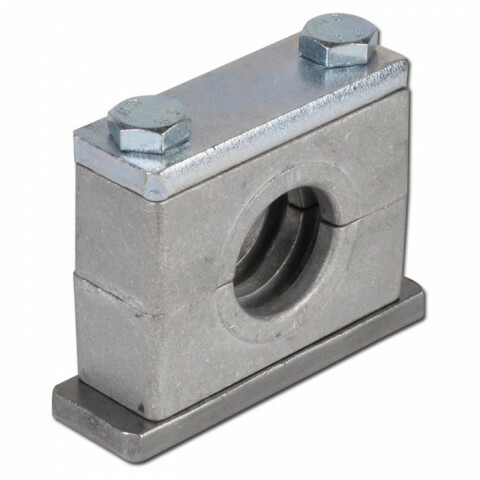 Aluminum Series Pipe - Tube Clamps are mostly used for Various High Temp Applications (more than 260 ℃) & the W.P. range more then 1500 PSI upto 8000 psi (600 BAR) in the Stainless Steel Piping System. » Aluminum Pipe – Tube clamp bodies with Steel / S.S. plates & bolts. » Constructed through high tensile aluminum extrusion. » Available along with Multilayer, Welding plates, Rail Nuts, etc.